I read Be Here Now in like 1980 and started meditating. Later I contacted the local TM site in 1982 and they wanted $200 to start, so not having the cash I just did it on my own.I lost any interest in TM but continue to meditate. I used to live near Maharishi University located in Fairfield Iowa and had friends in Fairfield. More to the story but not now. Edited by Heirloom , 29 June 2017 - 03:52 PM. Do you still use TM methods to meditate and just lost interest in the price or you no longer use the method and choos another method of meditation? What made you loose interest and what attracted you to other meditation? Or what type of meditation do you practice? I am honestly not 100% clear what methods TM involves. I understand the use of sound or mantra to relax and shut down the internal dialogue. 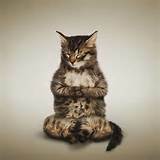 I personally was instructed in a "Heart Centered Meditation". Having someone guide you was a real benefit when learning, but soon we all just knew where to go almost automaticly, physically, emotionally, and mentally. Doing meditation on a regular basis helps keep it an easy and familiar state to achieve, and it does have physical, mental, and emotional benefits. I have adapted more techniques than I began with. I use sound to clear and focus in the form of moving water, and /or singing bowls. Fundamentally what I do is Chakra activation and alignment. The heart is the center so I begin there. Color visualization, and envisioning the spin are starting points. Grounding is an essential part of self stabilizing, and involves sending your energetic roots deep into the earth, feeling the Earths heartbeat, and syncing with this. Allowing the crown to open and let the universal white light flow through you is another. I work from each Chakra point, seeing the color light and the spin, it is a process of tuning to get them all active. This type of meditation can be long or short. I find if there is a problem area, I will become aware of this by the flow pattern of dreams or thoughts that are at times remembered events, when in that specific Chakra. Taking time to breathe correctly helps calm and tune the body and mind. To go deep into another state, I use visualization methods. Seeing yourself in an elevator descending, or moving deeper in a cavern, and my personal favorite, seeing myself floating on still water, and slowly sinking through the depths. These deep states can be very healing when stress or negative emotion is being problamatic. They can also be doorways to altered states. I do continue to meditate almost every day. How meditation becomes "Transcendental" is where I am unable to answer. I would believe there are many tools and methods. I personally think its about whatever works for you and has a beneficial effect on your being. The TM method is the same as any meditation where one repeats a mantra ( quietly in their mind). When you pay they give you a mantra. You can just choose one for free with out the TM org. Our society has people thinking if you pay it must be good, they think nothing free can be good. TM believes that their meditating has an effect on non meditating people in society like reducing crime rates and it probably does. I sometimes use a mantra, sometimes I use beads and the mantra, the beads serve to time me it takes X amount of time to start at one end of the beads and come full circle. Some wear the beads as a necklace. I also like a gentle moving meditation like Tai Chi (Sun style), which is like a refined graceful dance though it's a martial art. Yang style Tai Chi requires more energy and serves as a cardio exercise. I lost interest in the TM organization due to money, the insistence that people must pay to receive a little instruction. A person who teaches Tm meditation must charge and forward money to the TM non profit corp or face court action. I understand they need money. I know others who lived in Fairfield near Maharishi University and thought it was more cult like but not as harmful as Scientology. In a short amount of time a person can learn to slow down their heart beat lower blood pressure and relieve pain. Meditation has got me through a terrible dental experience in the midst of pain I experienced ecstasy. I've tried from time to time and got nowhere. I'm half expecting things to change when I get a half decent supply of freshies... But I'll defer to others and ask: Are they any help? 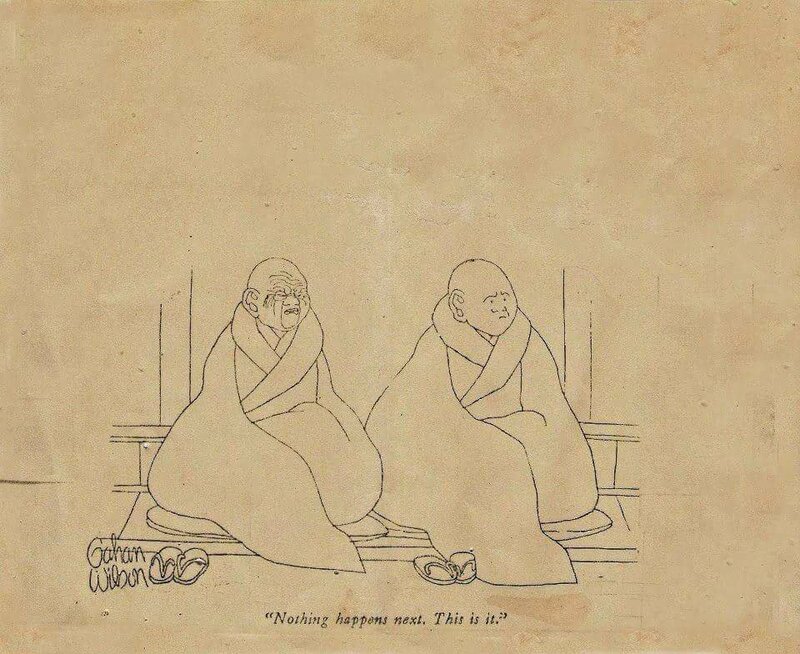 For meditation to work, the meditator has to disappear. If one makes it a job, the chances of it happening decrease. The doer is what has to go. If the urge that drives us is to know truth, success is all but guaranteed. The truth is, the doer is made up, a contrivance. 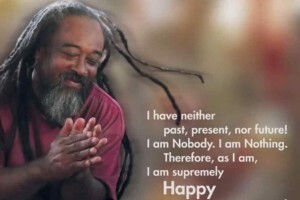 Facing that truth, meditation will arise spontaneously as the state of being. 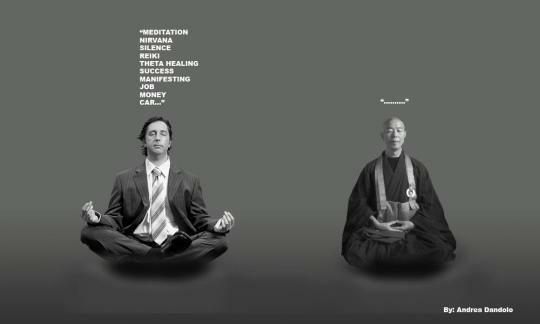 Meditation is not a noun. We are not nouns. We are the being itself, timeless, as time moves past. No thought of anything is what's thought of. If we can be comfortable seeing that and not knowing anything, we are in meditation. Even the knower is a made up fiction. If knowing something is your stake in what you believe to be reality, your work will be cut out for you. Find the you who thinks he/she knows and inquire as to what that really is. Insist on the truth and you will be free. Edited by Arathu, 30 June 2017 - 12:05 PM. TM or Transcendental Meditation® is registered name. A guy who learned TM started teaching and was taken to court for teaching and not kicking money back to corporate here in Iowa. Edited by Heirloom , 30 June 2017 - 02:00 PM. ...I don't identify with the labels placed on me anymore. I should believe this from a dirt making displaced indigenous European Heathen? Okay, as a biological offspring of Euro-Christian barbarians, I can accept paradox. Edited by Alder Logs, 30 June 2017 - 09:32 PM. I understand that pagans originally meant, "country people," and heathens, "dwellers in the heath." I wonder who gave them a bad name? Not really, I have an idea about that. It's all there to help find the balance. Edited by Alder Logs, 01 July 2017 - 10:07 AM. For a fun read and a good take on TM, I highly recommend Owsley and Me: My LSD Family by Rhoney Gissom Stanley. I also highly recommend freeing yourself of the guru trip by reading The a Guru Papers: Masks of Authoritarian Power by Joel Kramer and Diana Alstad. Committed and persistent work with the Psilocybe mushroom will take you all the way to awakened mind without the need for an intermediary or submitting to some authority figure. Trust in your own capacity to distinguish the truth, perceive beauty and know the good. The only thing you will ever get from a Guru are false promises and devouring of your life energy to serve their own ends. The path ahead is only trodden by those who free themselves from authoritarianism. The gurus will only lead you astray and prevent you from finding your own unique individual path. Let them all go. Freedom is far sweeter than the false security offered by subservience to a parental figure. Taking the mushroom requires courage, and, as Terence McKenna once said, "Nature loves courage." Find your courage and your path will reveal itself to you. Do not be afraid of anything the mushroom shows you. It is teaching you exactly what you need to know. With continued work, you can invoke the winds, clear the space inside and around you and see with utmost clarity. No Guru can ever accomplish this for you. It is only when you leave them all far behind that the depths of the Mystery begin to open - depth upon depth. Don't take my word for it. Find out for yourself! Edited by elfstone, 22 August 2017 - 12:03 AM. ...and don't necessarily accept anyone's take on all gurus as a voice of authority, unless they've experienced and fathomed all gurus. Edited by Alder Logs, 21 August 2017 - 11:24 PM. 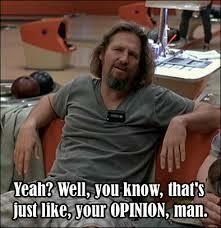 And opinions are like ........ - everyone has one. It is a good thing not to be caught by your own opinion.